The platform holder says it is taking games content very seriously, and has top flight developers working on it. Microsoft has elected to take a rather non-standard route into the world of handheld gaming. Rather than create a dedicated, portable console like the PSP or DS, it's treating it more like PC gaming and has made a software platform - specifically the Windows Phone 7 platform - its mobile gaming solution. 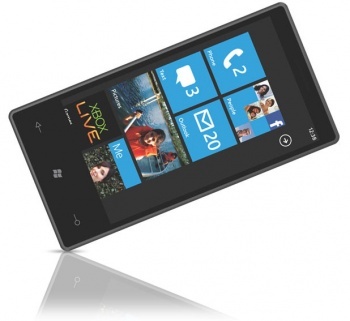 Much like Google's Android OS, WP7 is available on a variety of different phones. Microsoft has set a minimum hardware requirement, however, in order to ensure a base level of performance across all handsets. Of course, these minimum requirements aren't fixed in stone for all time, and Kevin Unangst, Microsoft's head of mobile and PC gaming, said the company would periodically review them, and adjust them if necessary. Unangst said that Microsoft was taking the platform very seriously from a games point of view, and that its triple A developers were working on content for the platform. Microsoft has also been able to convince the likes of EA and PopCap to develop for WP7, and hopes to add games like Epic's Infinity Blade to the library in the future. WP7 currently has around 60 Xbox Live enabled games in its marketplace, and nearly 6,000 apps in total. I doubt that Microsoft is expecting people to rush out and buy a WP7 phone just to play games on. It seems a lot more likely that this is an effort to generate more excitement about its new phone platform - which is still only a few months old - among the gamer demographic. Whether or not it will actually work remains to be seen, although Microsoft is claiming that 1.5 million WP7 handsets have been sold since the platforms' launch.